I am in my second year as a Memberium Certified Partner. I love Memberium because it is a membership site software that easily supports a user-friendly staff training site. I love helping small business owners create or improve their staff training site. In combination with Infusionsoft, a Memberium training site can be accessible from any mobile device. It can provide standardized staff training that is always current, always available, always exactly what you want it to be. Memberium can provide video, audio, and text versions of training to suit any staff need. It can explain to new staffers how standardized work processes are set up in Infusionsoft. 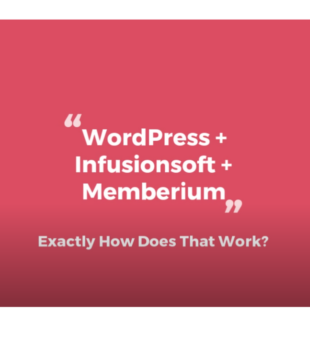 Infusionsoft and Memberium are a powerful combination. Ready to see a Memberium demo? Click Here!